I think the fairies have come and painted all the flowers. That’s what I thought when I stood in awe of how beautiful the scenery was in front of me. It’s still a mystery to me how in the world flowers shoot forth first than leaves. I guess botanists could explain that but I’d prefer to say God moves in mysterious ways. Actually, spring hasn’t officially commenced yet. 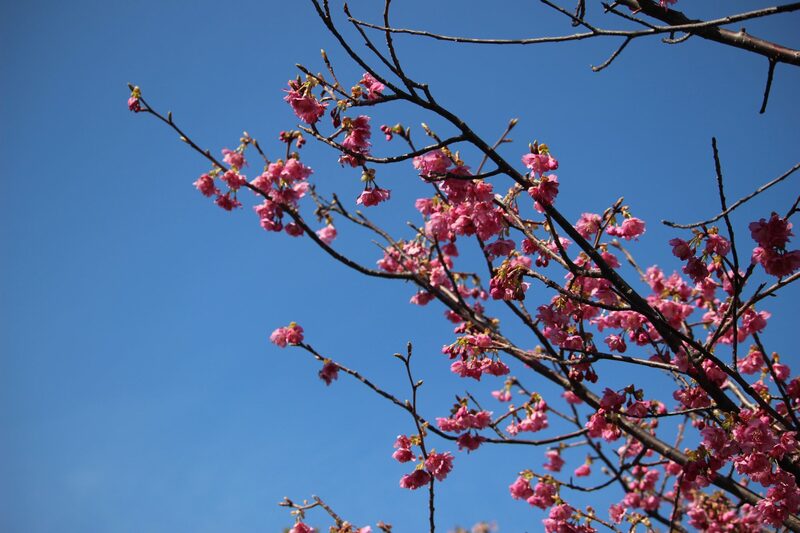 Nevertheless, some parts in Japan have gotten warmer which led to some Sakura trees in full bloom. 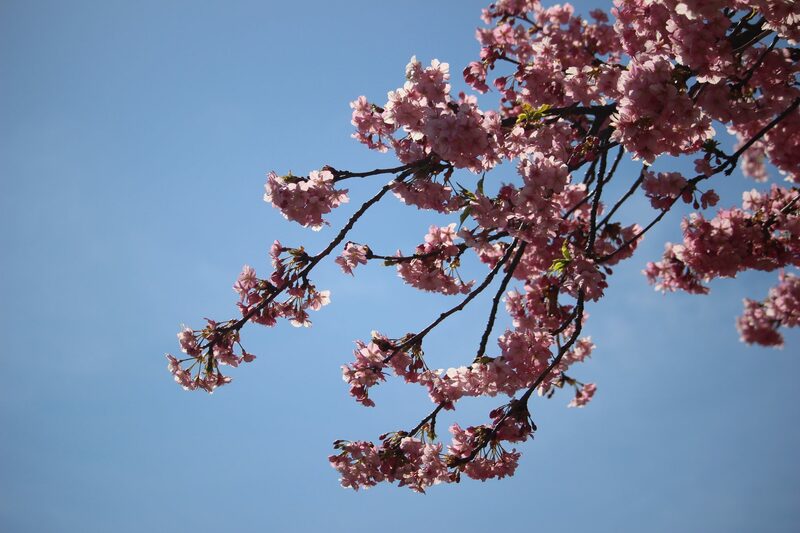 I know for a fact that Tokyo cherry trees will be in bloom around late March or middle of April. I could’ve just waited so as not to spend thousands of yen, right? 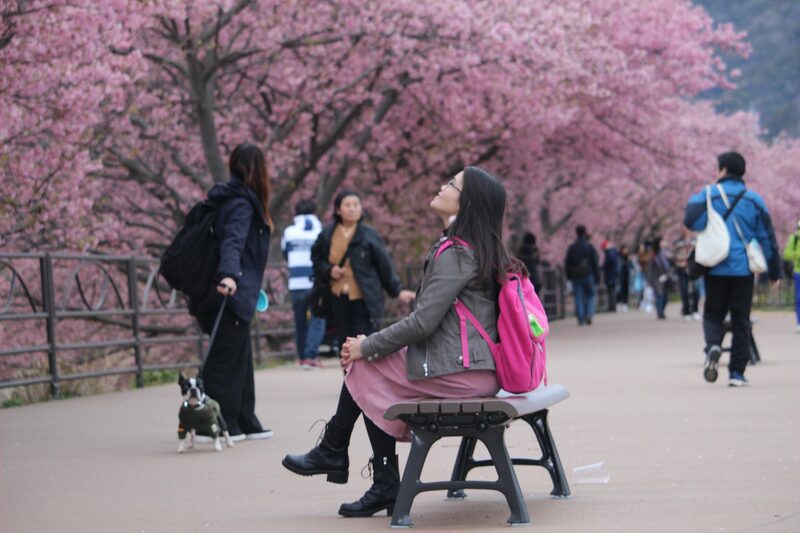 But since my fiancé encouraged me to go and convinced me that it’s special since it’s not the same as the typical cherry blossoms that bloom around late March, I decided to go and I tagged my colleagues along. We hit the road to Kawazu Shizuoka, aware that it’s far from Tokyo about 2.5-3 hours and it’d cost us an arm and a leg yet we didn’t let anything hinder us from going. I knew it’d be worth my while. I wouldn’t miss it for the world! So I was right. 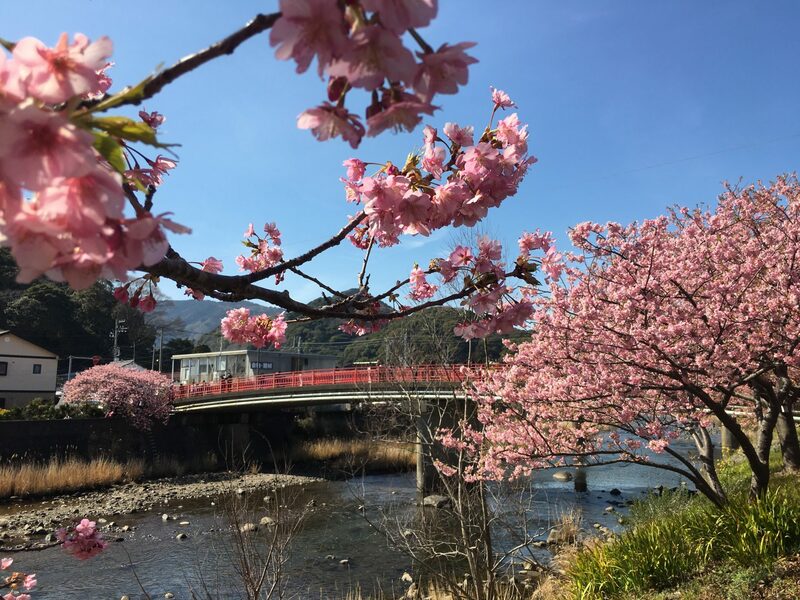 Kawazu welcomed us with it’s precious jewel, the sakura trees. 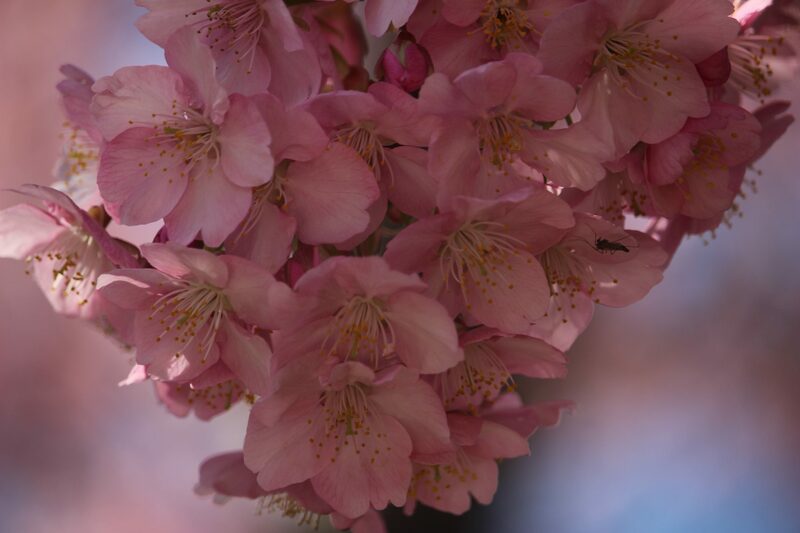 They boasted with pride, flowers cascaded over the branches like the hair so silky to comb. P.S. On the train now to school. It’s an amazing pink view! I want to see it too.